If you’re planning on replacing or remodeling your roof, you’ll want to ensure that you’re choosing and designing a new one that would suit your home and protect your family. After all, you’ll buy new roofing only a few times in your life, so you have to make the most out of your purchases. There’s no need to worry about the expenses, though, as you can get around a 63 percent return on investment simply by replacing your roof. 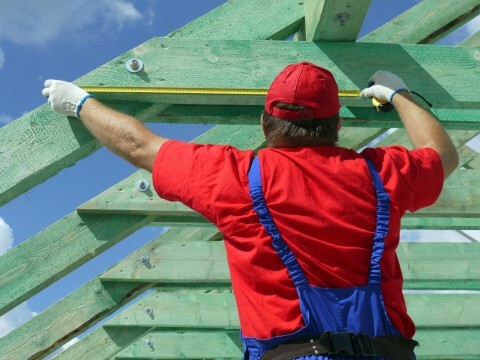 Before calling a roofing contractor for help, remember these helpful tips for remodeling your roof and choosing the best materials for the project. Before you start with your remodeling project, remember to consider the current style and look of your roofing. Try to find ways you can improve on it; you wouldn’t want to miss the chance of making your roof more presentable as it’s one of the most visible aspects of your home’s exterior. Try looking at your roof with a pair of binoculars and see if there are cracks and curls on your shingles. Also, inspect the roof from the inside, and look for the subtle signs of a developing leak, like water stains. Give yourself ample time to decide on the best look for your new roof to make the most out of your remodeling project. You can start with choosing from readily available roofing materials like clay tile or metal. Many homeowners, however, are now opting for the unique colors and styles offered by fiberglass asphalt shingles. Don’t make your roof remodeling project just about the looks, however. After all, your roof will give you much-needed protection from the elements. Factor in your area’s weather conditions and look for roofs and shingles that would work best in protecting your home from hot summers that are typical around homes in the San Francisco Bay area. Roof remodeling is one of the biggest home improvement projects that shouldn’t be done without help. Seek a professional contractor, like one working with Shelton Roofing, who attends to the residential roofing needs of Menlo Park, CA homeowners. With the proper help, your project will definitely be a success and increase your home’s value.